Researchers plan to go back to Nikumaroro Island with a submarine. Amelia Earhart’s death is one of the great mysteries of our time, and new skeletal measurements may have just brought us a lot closer to solving it. This October, forensic anthropologists uncovered new information backing up a theory that Amelia Earhart died as a castaway on a remote island. To reach this conclusion, the International Group for Historic Aircraft Recovery (TIGHAR) compared the abnormal forearm of a skeleton found on Nikumaroro Island in 1940, near where researchers suspect Earhart crashed, to a historical photo of the female aviator and found an exact match. Although now physically lost, in 1940 a British doctor took careful measurements of the bones when naval passersby found the remains. TIGHAR accidentally discovered the doctor’s measurements in 1998, and determined that the bones could have been from a woman, but one with considerably larger than average forearms. The bone measurements were due for updated evaluation this year when Richard Jantz, a forensic anthropologist who works with TIGHAR, noticed the abnormality in length of the recovered bones. 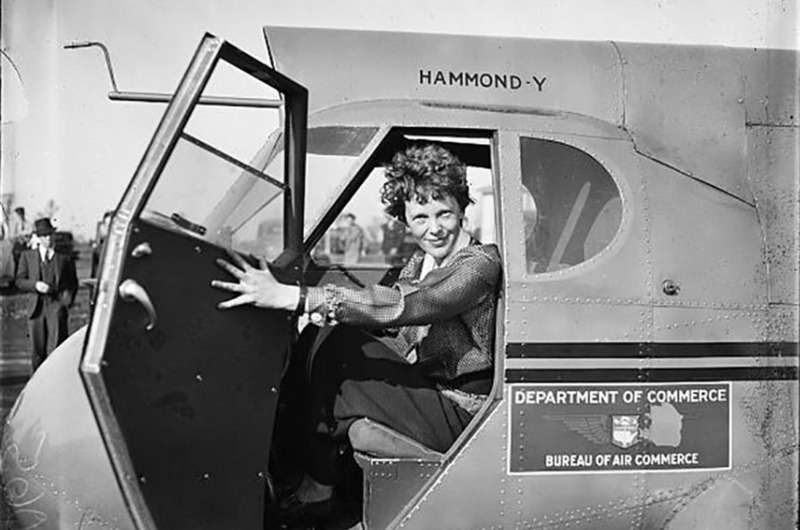 Women born in the same period as Earhart have an average radius to humerus ratio of 0.73. The bones recorded in the British doctor’s notes had a 12.8 inch upper arm bone (humerus) and a 10 inch lower arm bone (radius), giving a ratio of 0.756. TIGHAR asked Jeff Glickman, a forensic imaging specialist, if he could measure Earhart’s humerus to radius ratio from a historical photo. They found an appropriate photo for measurement — and that Earhart’s humerus to radius ratio matched that of the castaway’s. The skeletal evidence supports the findings TIGHAR presented last month, where they put forth the theory that Earhart made over 100 radio calls after she pulled off an emergency landing on Nikumaroro Island. According to TIGHAR, Earhart landed her plane on the island with enough gas in the tank to power the radio. She started sending emergency distress calls about six hours after going missing from radar screens, with everyone from a housewife in Texas to a woman in Melbourne picking up her frequency. Credible radio operators reported that Earhart said the crash had injured her, but not as severely as her navigator, Fred Noonan. Earhart had been looking for Howland Island, which is southwest of Honolulu, when TIGHAR believes she crash landed on Nikumaroro. Also known as Gardner Island, the island is between Hawaii and Australia and is 400 miles southeast of Earhart’s original target.